Escobar Natural Premium Cigars are a hand-crafted medium-to-strong bodied cigar with a perfectly smooth draw and a long lingering finish. They are a blend of three vintage sun-grown and aged Habano tobaccos grown specifically in the rich volcanic soil of Nicaragua. 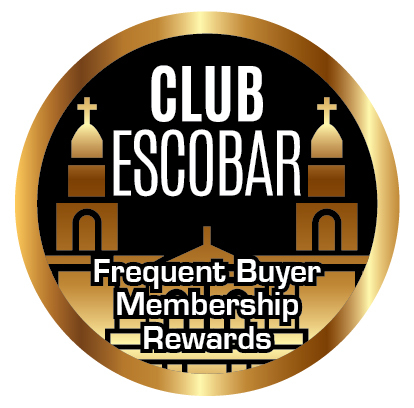 These blended and balanced flavors of the Escobar Cigar are dominated by vanilla and white pepper flavor, dried fruit, cocoa and caramel that sticks strongly to the palate with delicious density, and possesses a persistent earthly flavor of leather and Chinese spices. These Flavors are blended to provide the complexity of the Escobar Cigar, thanks to the fermentation and aging process that only Puros Privados offers from generations of skilled Cuban cigar makers.